It was really a great experience and I would highly recommend anyone to try you guys and they won't regret their decision. Working with you & your team was one of the best thing!!! When looking for a photographer, the most important thing to me was to find a photographer who truly captured the emotion of joy, laughter, and love. That is exactly what we got from Dilip & his team beautiful pictures! Dilip is such a genuine person who absolutely adores his job! I loved how you let us be ourselves during the pre wedding shoot and all the ceremonies during wedding. We know we are not easy people to work with, but you made us feel comfortable & let us enjoy ourselves. We couldn't be more happier with your service. One of the best thing was they would reply really quick to our messages, just with in couple of hours the most. I was also surprised at how quick they were in giving me all the images. I got married end of December (which is considered the most busy time in India) I had all my images ready to be picked up by 3rd week of January, I was truly blown away when I saw our wedding pictures, they are absolutely perfect! I loved each and every click that you guys took. You were so creative with taking pictures for all the ceremonies. Even my family is loving photo books, wedding video & specially wedding teaser video. If I could I would love to work with you guys again. It was really a great experience and I would highly recommend anyone to try you guys and they won't regret their decision. The best part of working with them was that they lets us what we are and how we are. 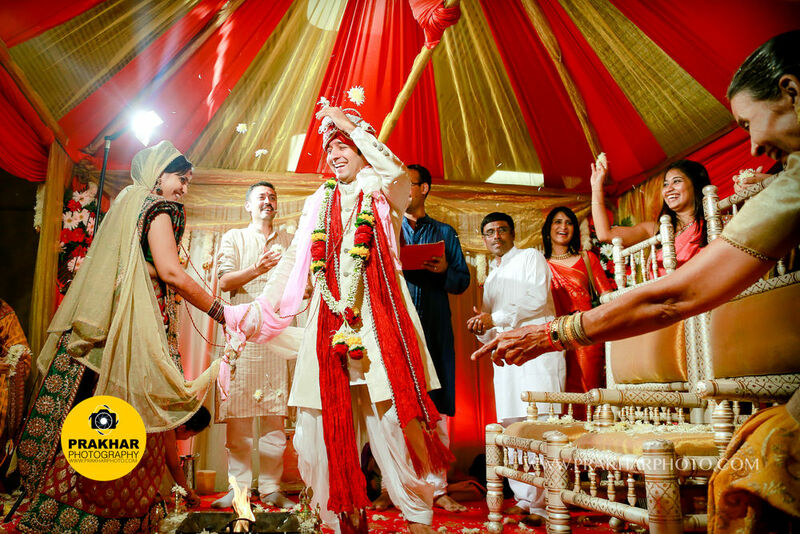 Dilip and his team did an absolutely amazing job photographing our wedding in January 2015. 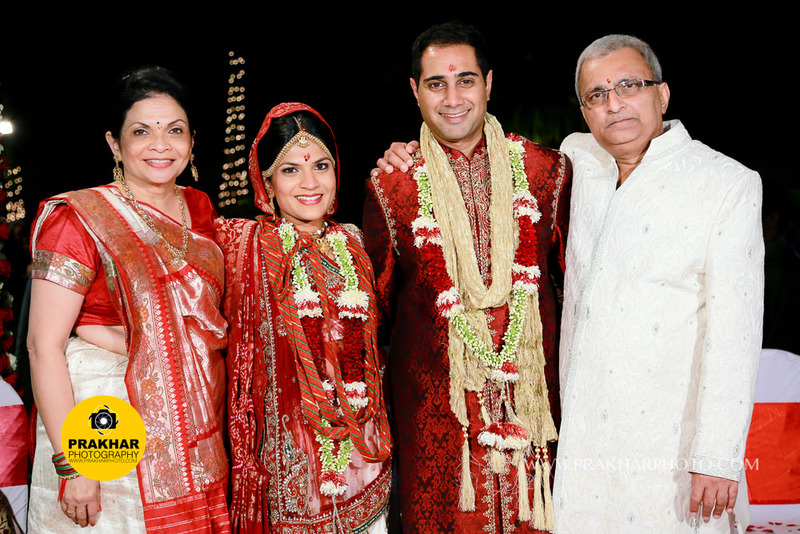 We both are based in New York and wedding was scheduled to be held in Vadodara. 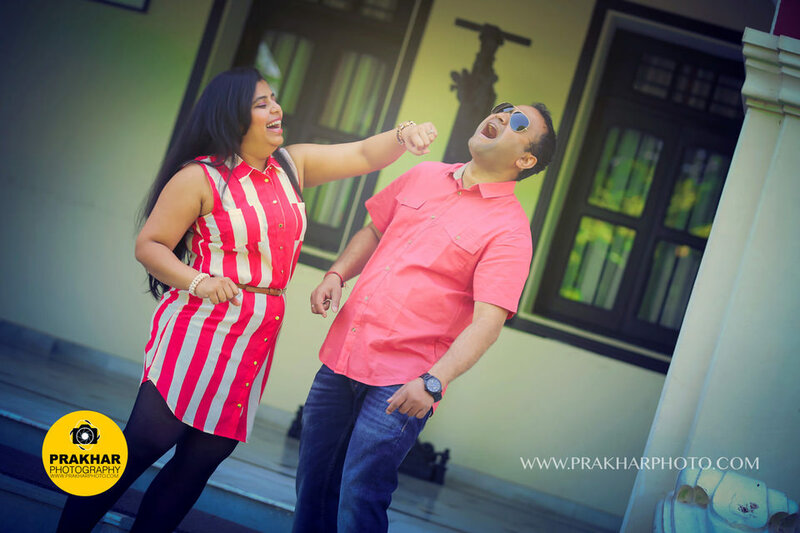 We had no clue how to find a good photographer there, so we kept looking on the internet and eventually found Prakhar Photography website and a glimpse of their work on Facebook. The quality of their existing work was really impressive so we asked our parents to meet Dilip to discuss his wedding offerings. From the very beginning, he answered all of our questions ( and there were a lot as we are based in New York!) and was so patient with us (he replied to almost all of our hundreds of emails!!!). He was always super responsive to emails phone and voice mails. The days leading up to our pre-wedding shoot and wedding he made sure to check in and see if there were any last minute things we needed, and to confirm all the necessary details. He was prompt showing up on our pre wedding shoot as well as on day of wedding. 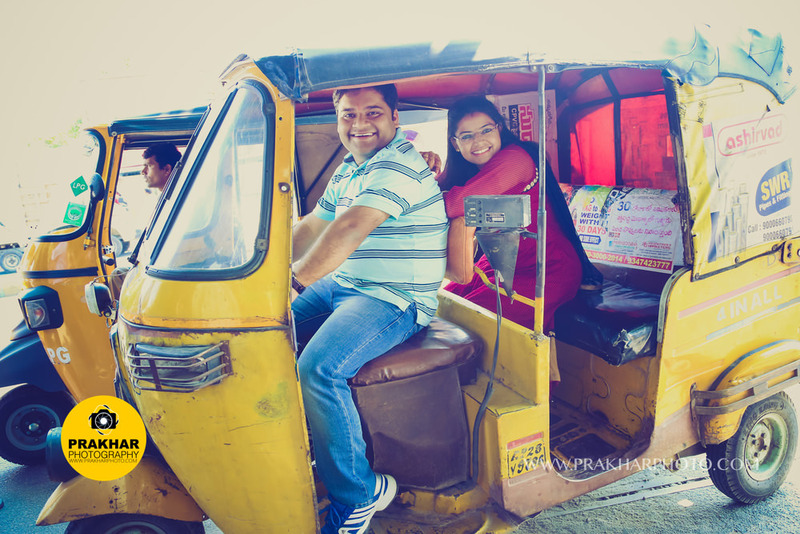 We had awesome time doing the pre-wedding shoot at Pavagadh with his team. That day itself we knew that we have made a very wise choice in selecting him. He did an awesome job capturing everything we asked him to, and all in between! We had a blast doing all different pictures with him and his team. His energy was awesome and he had so many creative takes on the typical wedding shots, which we loved. Another great thing about Dilip and his team was that they were very discrete about photographing the guests. They took amazing pictures without interfering much in any of the marriage rituals and events. The best part of working with them was that they lets us what we are and how we are. They were very open to ideas from us as well the team was really creative and came up with things we could never think of, and it’s so exciting to knowing our pictures are so unique and reflective of us. The final photo albums and video are so professional yet they seem to also have so much personal touch that our friends & family keep saying how it’s one of the best wedding photography they’ve ever seen. 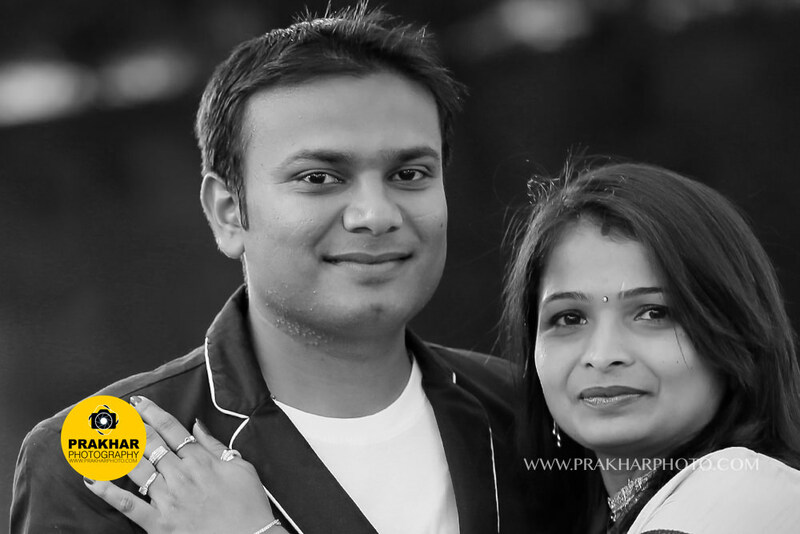 We highly recommend the young and dynamic team of Prakhar Photography and are looking forward to working with them for future family events /celebrations. Your honesty, dedication, flexibility and understanding and creativity! Our experience working with Dilipbhai and his team was truly incredible. The team coordinated with our decorator, DJ and caterer without either of our families knowing of any small issues of lighting and etc. We still remember when we were first sent our wedding highlight and a few pictures of our big event. We were just swept away with the capturing of our life's biggest moments and they gave it their magical touch! We have seen their creativity in making the albums and videos and we were truly amazed by seeing each one! We hope that their business expands to the USA because it is very difficult to find a team that interacts professionally, has an artistic presentation, and displays commitment. They took what was such natural clicks throughout our event and delivered it to us in albums and videos that were breathtaking to view. This is a skill that we found in Prakhar Photography!!! If possible, we would hire them for our every special occasion because they made us feel that we were one family and that we were just not their clients. We had an amazing time working with you. You made the entire process so easy. My husband and I are not the easiest people to work with in front of the camera, but you were still able to capture the most important moments and make them look beautiful. Great professionals, with state of the art equipment, and a true understanding and passion for photography. You could see excitement in their eyes, while they were going about doing business. This is unique and commendable. 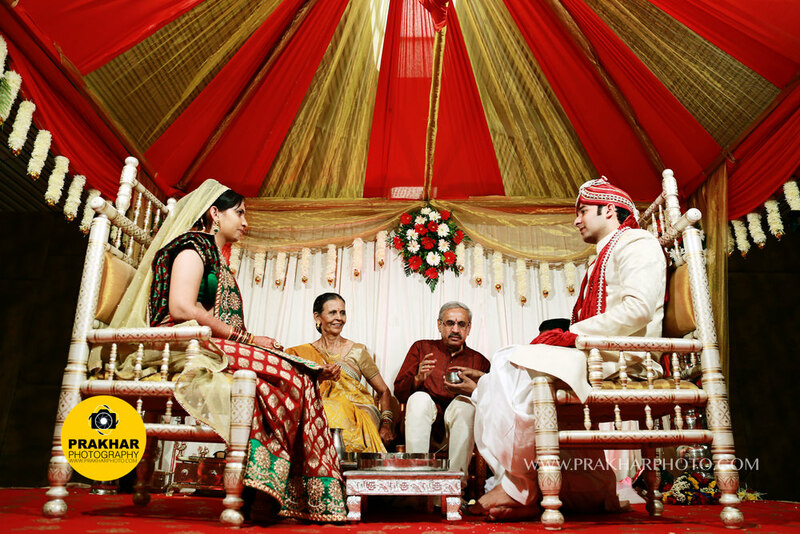 Our experience with Dilip and the team of Prakhar photography was simply amazing. It was very easy choice for us to begin with. All the information about them including their state of the art equipment is readily available on the internet, which is excellent for us as we live abroad. He was prompt and professional in replying to all over questions. Before each event, the team was testing the light, and the ambiance in advance to get the best shots during the event. Even for the delivery of photographs was with great care, and exactly how we had agreed. No delays or surprises. They even went an extra mile to help by not only providing a DVD but also sharing it via the internet. There were no surprises on the payment side, exactly how it was laid out on the website. Their company was very pleasing, and they blended into the group extremely well. We never felt any awkwardness from their presence, which traditionally photographers have a tendency to do. They had everything with them, extra batteries, memory cards, lenses, props, chalk boards, flowers, etc etc.. They just gave us some hints, and let us be ourselves. 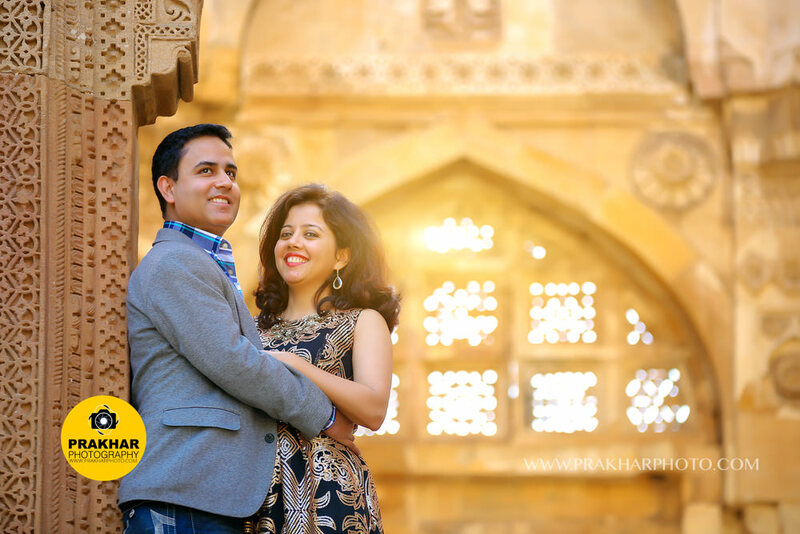 We are very happy, that we made the right choice of choosing Prakhar photography, and thank Dilip and his team for their effort. They offered us more than what we hoped for. They have truly made our memories very special. We highly recommend their work, passion and professionalism. Well, It would never be enough whatever we say about your work and dedication. Its been a great pleasure for us to have you in our wedding ceremony. My expectations were quite high from you as we had experienced your good work in my brother's wedding and in our engagement ceremony. And after viewing the wedding albums and the videos, I can happily say that you worked beyond my expectations. 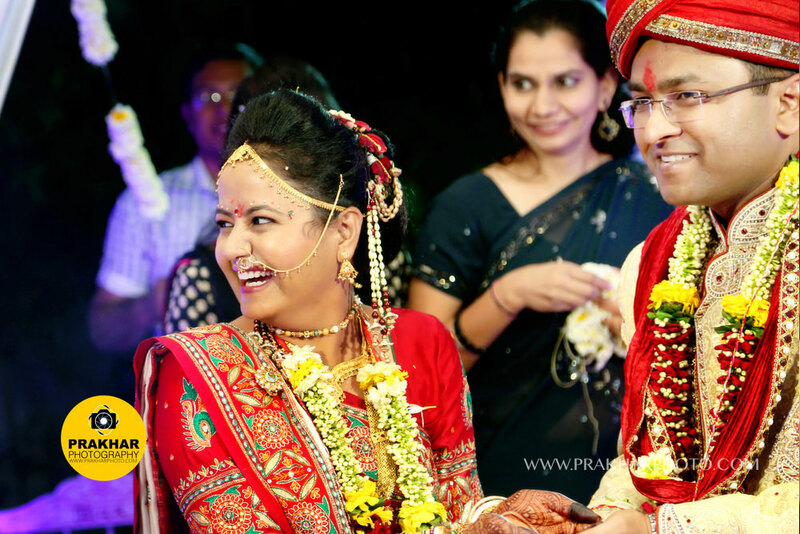 You have captured every single moment of our entire ceremony in Hyderabad and Ahmedabad in such a way that one can not stop themselves from praising your work. To watch the slideshow of the wedding photos presented in the reception was equivalent to attend the actual wedding ceremony for the one who could not make it. The Best part was the Pre Wedding photo shoot. The idea was unique and so graceful. We were so amazed after watching every single click. The creativity that reflects in the album says more than thousand words about your work. In short, We can proudly say that we made a right decision by selecting you to click the best memories of our life. Your style of photography is unique and you really capture the moments beautifully. 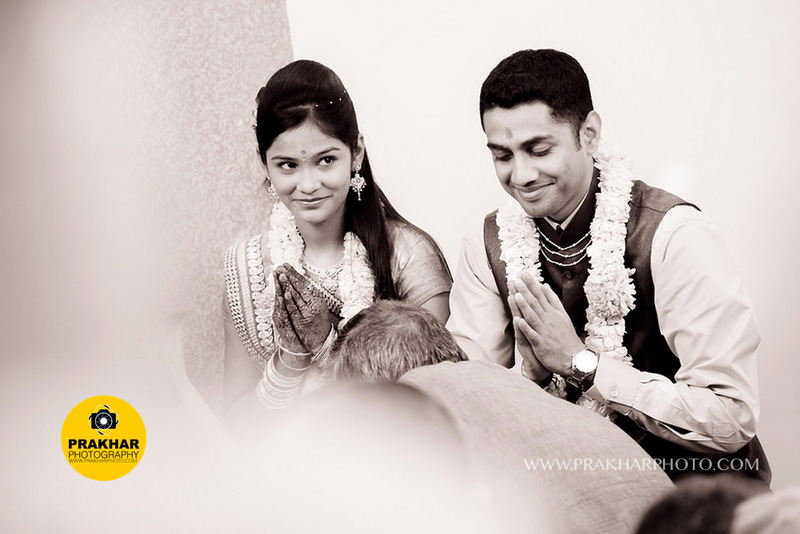 Choosing Prakhar Photography for my wedding was indeed a wonderful decision. I had seen their work online and I liked it to the extent of finally shortlisting them to shoot my wedding. As I received the first lot of pictures of my Sangeet function, I knew, the wedding album is going to be amazing. And, they proved me correct! I loved all the pictures, the detailing in the moments and the wonderful finishing they provided to each and every shot. Me and my Husband are very satisfied with their work, especially the Album and the DVDs are amazing. We thank them for putting up a great work at our wedding. Wish them luck and Best wishes. The customer involvement was unique. I really enjoyed working with you and your team to create our photo albums and videos. You really kept us involved throughout the whole process to make sure that we were satisfied with our final product.You really took the time to do that for us which we really enjoyed. 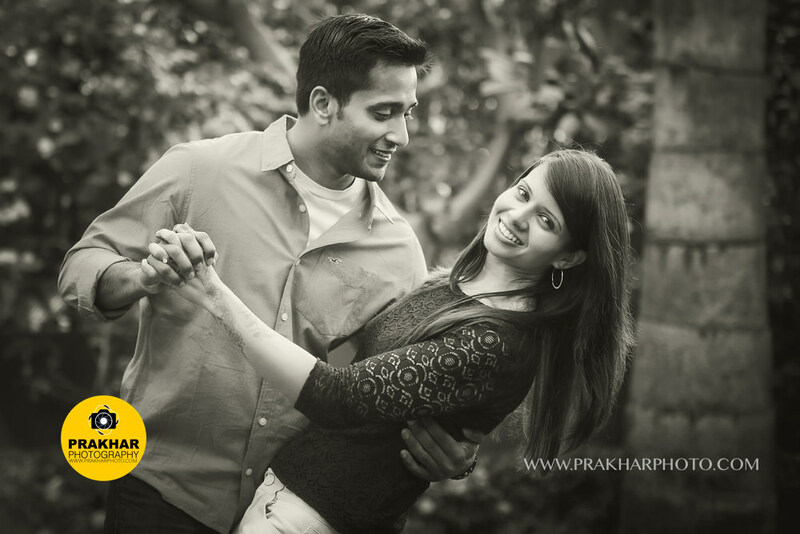 Our experience with Prakhar Photography has been nothing but spectacular. We have found your ability to be part of our family once we decided to go ahead with your services instead of merely working as some service provider, which is certainly your unique quality which is hardly come across in today's materialistic world. As mentioned above, your quality of highly mixing and cooperative attitude automatically translates into an excellent quality of still photography as well as videography throughout my daughter's wedding ceremony. - Ashok Parikh, Vadodra, Feb 2014. The way of doing business was very professional, reliable and very accommodating to our needs. We had the best experience dealing with you and your services. Being in Australia, we could not have had a better person to capture our daughter's special moments. You understood us and made it easy for us. The photos you sent for the slide show for Sydney reception were just outstanding. Everyone at the reception commented on them. I will recommend you to anyone who would like to have any sort of photography covered. Thank you very much for everything. It was the greatest of pleasure and an honor to have known you and worked with you. - Bharti Patel Sydney, December, 2013. You have the most amazing talent, each and every photo that you have taken is natural, simple yet beautiful. It was your editing and creativity that have made my wedding albums and wedding story videos sooooo amazing. It was a beautiful work, or rather an ART. Your way of doing business is excellent. Omg Omg!!! It's so amazing!!! Thank you so much. Everyone is loving the album wedding story video. You captured the whole day so well. I am still in shock at how good it is. I have been blown away with the standard, creativeness and friendliness of service that you have provided us. 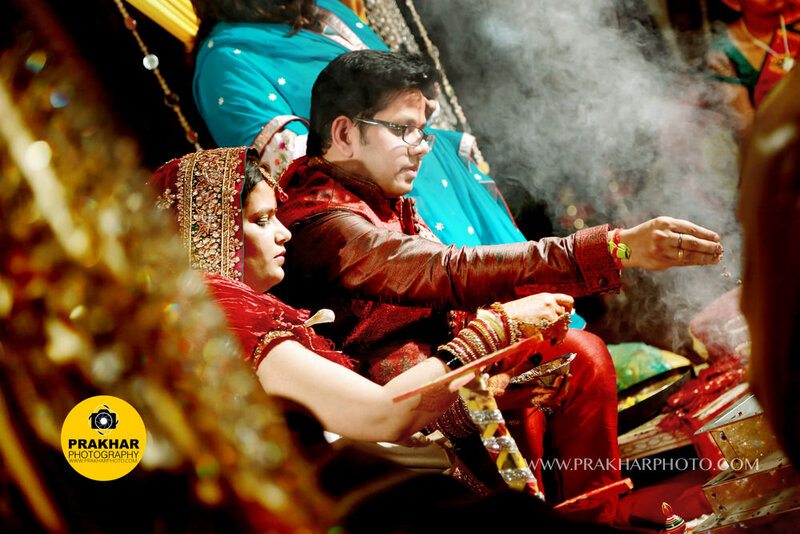 Prakhar Photography brings very professional and straight forward approach with complete dedication. I did not have any reference to Prakhar Photography. One day I just went through google search for wedding photographers in Baroda and shortlisted a few studios whose photos, on internet, I found interesting. I started approaching them. Some studios where overrated, in some studios, the main photographer was not available for the same day and then also they were quoting the same price. I was not very sure about Prakhar at first but then after not getting very good response from some studios, I thought why not to try. I called Prakhar, got to talk to Dilip, told him about my requirements as they were slightly different. But from the first talk only, I knew that this will be the guy who will do this job. We wanted a very customized package which he understood very perfectly and I must say he and his team worked really hard and with complete dedication. He went one step further than our expectations. I never met this guy before two days of my wedding but somehow from his straight and professional talks and approach towards his work was enough for me to trust this studio. And I must say I chose the right person and right studio. We were simply stunned by some of the photos we got. Those were much more amazing then we ever thought they would be. The moments are captured so perfectly that we can`t just stop looking at them. Amazing frames, perfect focus, beautiful details, balanced light and colours and above all, the correct moments. The best part was, we never realized, except during the bride-groom pose photos, that they are around us. Very silently they did their job. I can just assume how much patience they need to have to capture these beautiful moments without coming into anyone`s ways and when everyone would be coming in their way. Last but not the least, when after wedding we went to my home for a small Puja before vidai, I was surprised and shocked to see these guys reaching there to capture that last part as well, when we didn`t even tell them to come neither we expected they will come. This was the gesture which was really touching. It was your job and I can see from photos how much you love your job. Thank you for providing some of the most memorable moments to us in those frames. - Aditi & Puneet - New Delhi, INDIA, 2013. What's unique about you is your unparalleled professionalism, attention to details, canny ability to suggest what would be best for a particular photo shoot in terms or resources, a very unique observational quality of catching the moments and clicking photos in those rare moments, your turnaround time, your work ethic and the quality of the work. Above all most simply the ease of dealing with you and your straightforwardness has been a pleasure. My wedding and reception was a very big day for me and i am proud in saying that i chose the right person for one of the most important jobs i.e. the photography. Dilip is one of the most punctual and organized persons i know. I had already talked to him over the phone and handed him the big job, but didn't really know what kind of person he is before i met him for the first time in India. Simply the ease and simplicity while discussing the event and how to with him gave me a reassurance that he's got it handled and that i should be worried about other things. He is one of the people who is very flexible when working with other photographers and is more than ready to go that extra mile to make your event a success. He is very much available and his turn around time is phenomenal, be it his email communication or delivery of his work. Also he is very reasonable in terms of price and is very straightforward when it comes to extra expenses that might be needed. All in all professionalism speaks all over his work be it his billing bifurcation or communication with the client. After seeing the initial proofing work i was blown away by the photographs he took and the editing and layout. Also he was very kind enough to promise me to post the album and HDD with videos overseas if i paid for it upfront, which makes his package very enticing for NRI customers. And last but not least, his team is just as good as him and will make you feel very comfortable and will tell you to give that romantic poses that you sometimes feel shy about but which come out amazing once you see on that celluloid/album. In my parting statement i would like to mention that he upholds the quality or work, professionalism and the extra services that NRI's need. He is the perfect man for the job. Thanks Dilip and team @Prakhar Photography. -Ketul & Hiteshri US. November, 2013. I really like the professionalism in each and every step starting from first meeting to till now. It was pleasure working with Dilip and his team for my wedding photo-shoot. His attention to details and level of experience in photography is outstanding. They know what is means to have such kind of memories in life and they capture them really well. Thats what makes the Prakhar Photography unique. I really like the professionalism in each and every step starting from first meeting to till now. They really did the best work in my budget and I would really recommend them. - Ketan Patel USA. July 2013. I like your service as well as your way of doing business. Personally I had an experience with you on my engagement. I really appreciate with your service and your work. I had second chance to be with you on my wedding. I was really happy that on that occasion you catch my personal memory. I would like to welcome you again and again in my any family occasion. Thank you very much. 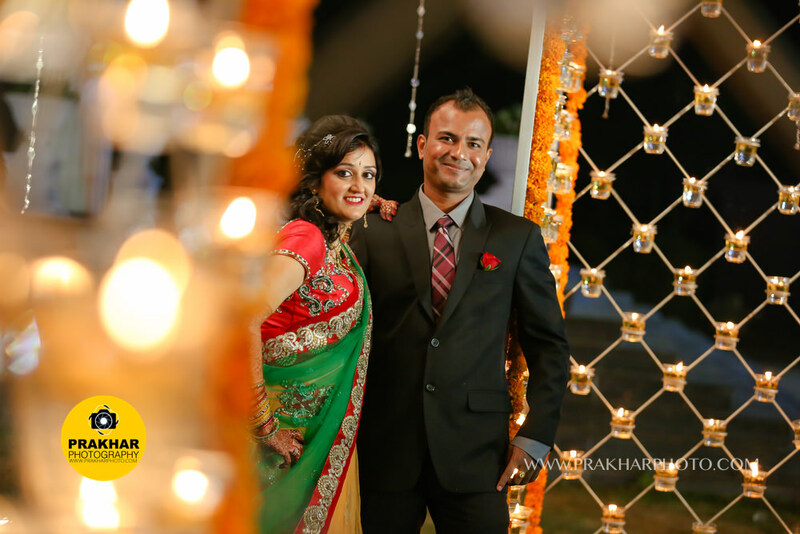 -Nimesh & Parul, Vadodara, November, 2013.